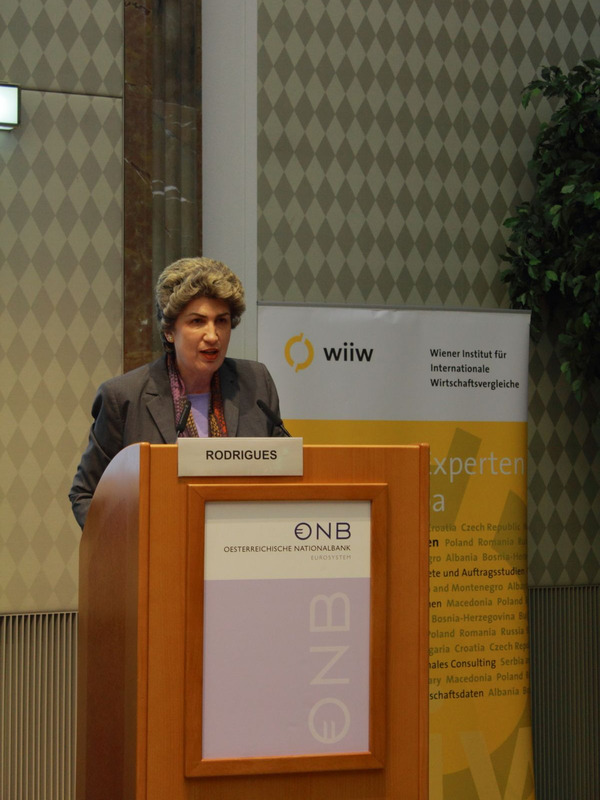 On 27th March, wiiw held its Spring Seminar where it presented its most recent research findings on CESEE. This annual Seminar is one of the special services for wiiw Members. The recently published wiiw Forecast Report Spring 2014 shows that after several disappointing years, economic growth in the countries of Central, East and Southeast Europe (CESEE) may accelerate in the years 2014 to 2016. This growth would have to build on an upturn in public and private investment. The seminar addressed the question of the feasibility of such an investment push and looks at some crucial factors that may support or hinder investment activity. 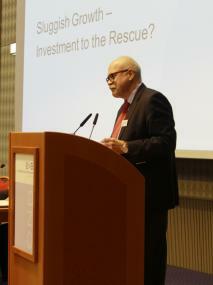 The institute also presented its new short- and medium-term economic forecast for the CESEE region. This year's Spring Seminar also featured three guest speakers of high international reputation: Maria João Rodrigues, Professor at the Brussels based European Studies Institute and at Lisbon University, gave a keynote speech on the prospects for the European economy.Dmitri Trenin, Director of the Moscow Center of Carnegie Endowment for International Peace, focused his speech on the EU-Russia relationship in the light of recent Ukrainian developmentsand Aleksandar Kovacevic, Senior Visiting Research Fellow at the Oxford Institute for Energy Studies, provided an overview on current Energy and Infrastructure issues in Central- and South East Europe. 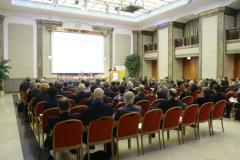 The annual wiiw Spring Seminar is a special service for wiiw Members and individual invited guests. More information on the advantages of a wiiw Membership can be obtained in the subscriptions and membership section of this website. We gratefully acknowledge the sponsoring of the Spring Seminar by Oesterreichische Nationalbank (OeNB).